Even though e-commerce has become a popular shopping trend, studies show that more than 90% of today's retail sales still come from brick-and-mortar stores. However, in order to stay relevant, it is imperative that retail shop owners keep up with the digital age in the form of in-store experiences. Many merchants are using IoT technologies to help them better their in-store experiences, reduce costs, and increase sales. This fitting room smart mirror can gather data in real time. This can help you understand shopping preferences, behaviors, and trends. 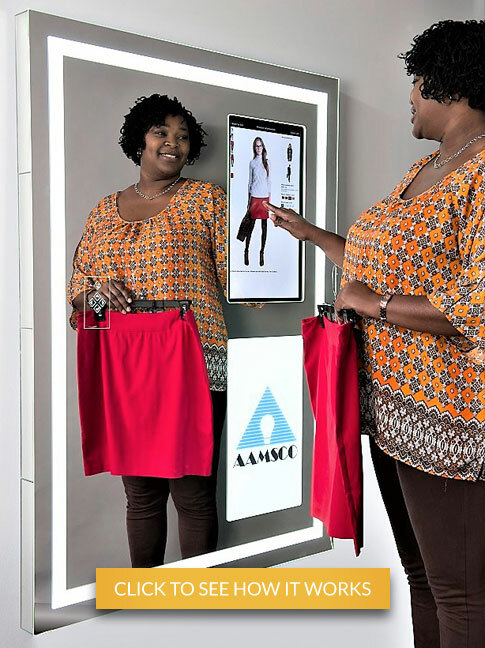 Using built-in RFID technology, the MyVue Smart Mirror lets shoppers see, touch, and feel how a garment fits them. In addition, they can view information about it (like color, size, price, etc.). The MyVue can show recommendations of other, similar items based on the garment’s features. It also allows shoppers to share images of the items via social media. Shoppers can enter their email address to receive images and information of the items they tried on. 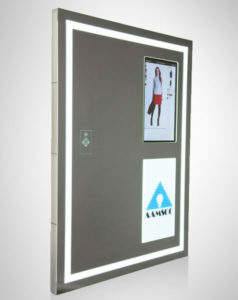 Shoppers can view the garment in various light settings and with other garments and accessories. While our smart mirror can help improve each customer’s experience, it can also help you improve your sales by increasing conversion and spending rates. In fact, studies show that by using an RFID-interactive system, you can increase your sales by 10%-30% and your conversion rates by 40%-60%. 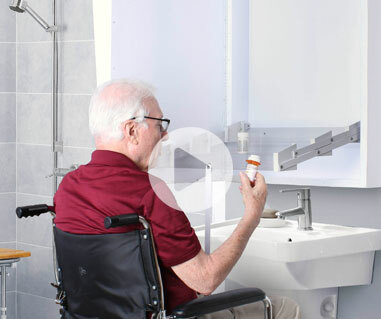 In addition, the MyVue Smart Mirror lets you display product advertisements and promotions while the shopper is trying things on in order to appeal to other interests in real time. The cloud-based software stores the data of every event detected by the mirror. The data allows you to keep track of inventory, run reports based on the mirror activity and gain insight into customer behavior. The software is customizable and can be accessed and maintained remotely. If you want a sleek, interactive way for your customers to shop, the MyVue Smart Mirror from Aamsco is the perfect solution. Give us a call today to learn more.